The Australian Women Pilots’ Association is a voluntary organisation whose aims to assist women to achieve their goals in aviation. Recently they spoke to Gp.Lt . 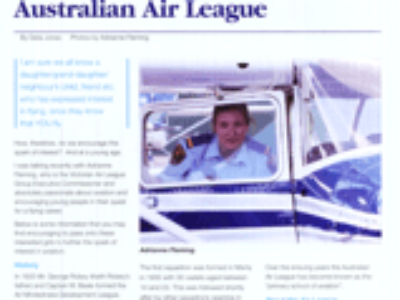 Adrianne Fleming about encouraging young people in their quest for a flying career, you can read all about it here.